Editor’s Note: This article is the first installment of a four-part series that is centered around domestic abuse and sexual assault. A new segment in this series will be published every Friday of April, which is observed as Sexual Assault Awareness Month. On Friday, March 27, Women on the Line’s annual poster exhibit opened at Stuart’s Opera House in Nelsonville, Ohio. The exhibit is a collaboration between local poets in Ohio and West Virginia and graphic design students at Ohio University and is now in its fourth year. Students in Ohio University’s School of Fine Arts generate visual interpretations of poet’s work. On the opening night, poets including Edwina Pendarvis, Cheryl Denise, Kate Fox, Crystal Good and Wendy McVicker held readings of their work. The event is now open for viewing until April 30. All proceeds from the Women on the Line poster exhibit benefit My Sister’s Place. Small books of poets’ work are available for purchase and a donation box is available at the event. Madison Koenig, the media liaison for the event, emphasizes the important role of My Sister’s Place in the Athens community. “My Sister’s Place is an invaluable organization that does amazing counseling and advocacy work in addition to the work they do with providing shelter to survivors of battery and intimate partner violence,” Koenig said. As the women’s movement continued in the late 1970s, a need arose for a place of refuge for survivors of domestic violence. My Sister’s Place was born as a result. The shelter offers a comfortable place of protection for women and children affected by domestic violence. Kelly Cooke, the executive director of My Sister’s Place, began her work with the organization in college as a temporary shelter aide. She returned to My Sister’s Place approximately six years ago as a licensed counselor. After gearing herself towards a role of leadership, Cooke became executive director almost four years ago. In its initial years My Sister’s Place was solely ran by volunteers much like Cooke. The shelter now has 22 paid employees and a number of volunteers who take on various roles such as counselors and shelter aides. My Sister’s Place houses up to 10 women at a time in the three-story home in Athens. For the safety of the women, the location of the shelter remains undisclosed. The house has three bathrooms available to the women, a living room, kitchen, dining room, and multiple offices. The case manager shops for groceries and the women distribute chores among themselves. “We try to make it as homelike as we can,” Cooke said. Although it provides a home for several women in unsafe situations, My Sister’s Place is much more than a shelter. In addition to a place of refuge, My Sister’s Place offers outreach counseling, court advocacy and a domestic violence intervention program. Outreach Counseling is made available to residents in Athens, Hocking and Vinton counties. Counseling is held at an unidentified location in Athens. A more convenient location can be arranged for residents of Hocking or Vinton County seeking help. The Court Advocacy Program provides survivors with an advocate who can explain legal processes, sit in court, and assist in filing for civil protection orders. The Domestic Violence Intervention Program is the only program offered that is of cost to the participant, however it is for perpetrators. Generally court-ordered, the program is $500 and spans from 26 to 30 weeks. Male and female counselors are available at the group sessions to discuss gender roles, power, control, communication and healthy relationships. Services made available to the women are possible as a result of state funding. My Sister’s Place receives their largest portion of funds from the Athens, Hocking, and Vinton 317 Board. They also receive funding from Medicaid, the Office of Criminal Justice Services (VAWA grant) and the Ohio Attorney General’s office. A 24-hour hotline is available for those seeking advice or refuge (1-800-443-3402). Upon reaching the hotline, the aide will ask about the situation. If the caller is seeking a place to go, a meeting will be arranged at Athens Police Department for a brief interview. After the initial meeting, the caller will be taken to the shelter for paperwork and a tour of their new temporary home. While the location will remain undisclosed for safety, the mission and availability of My Sister’s Place are quite the opposite. “I don’t think there’s any reason for us to be hidden, it’s just the address of the shelter that’s confidential. Otherwise, we need more people to know about us,” Cooke said. 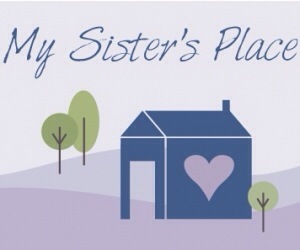 If you think you are in an abusive relationship, look for the signs, which are provided on the My Sister’s Place website at http://mspathens.org.